This paper presents a brief analysis of an escalator human factors dataset collected in a London Underground (subway) station in England. The data analysis highlights and quantifies a variety of escalator human factors. Using the buildingEXODUS evacuation software, a series of evacuation scenarios of a hypothetical underground station are then presented. 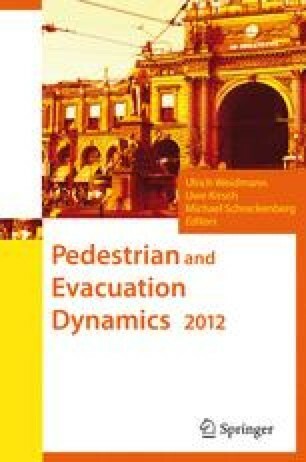 The simulation results demonstrate that escalator strategies and associated human factors can have a considerably influence upon an evacuation compared to using stairs alone. Michael Kinsey gratefully acknowledges the support of the Fire Safety Engineering Group of the University of Greenwich and the Engineering and Physical Science Research Council (EPSRC) for providing him with a bursary under their Ph.D. bursary scheme. The authors gratefully acknowledge the support of Kingfell, London Underground Limited and British National Rail in providing access to the facilities for the collection of the escalator data.